"Calls will be free for lifetime" - Only if you subscribe to any plan & will be free till that particular plan is active on your phone. Without any plan it will be chargeable as per base rate if you have talk time balance in your account. After taking Prime membership you are switched to Plan 149 by default and your membership will get activated only if you recharge with ₹149/- or higher voucher. So to avail unlimited Free voice calls some plan has to be active on your phone for outgoing calls. A SIM can receive incoming calls (only local & not while roaming I believe) for a maximum of 90 days after which it will be at the liberty of Jio to decide whether or not to terminate your connection as mentioned in their term no. 6 below. The License is suspended / terminated temporarily or otherwise vide Governments, Court's orders, TRAI's rules, regulations, orders, directions, notifications etc., including changes thereto prohibiting and/or suspending the rendering of such Services. Transmission limitations caused by topographical, geographical, atmospheric, hydrological and/or mechanical conditions. During technical failure, modification, up gradation, or variation, relocation, repair and/or maintenance of the Network/equipment. To combat potential fraud, sabotage, wilful destruction, etc. If at any time the Customer fails to satisfy requisite credit check or provides incorrect or misleading information in the CAF. At any time the Customer fails to pay charges due on or before the due dates. The Customer is in breach of any other provision of these terms and conditions or is declared insolvent /bankrupt /liquidated /dissolved or a Trustee or Receiver is appointed to take over the assets of the Customer. Any other reason which is found to be reasonable by RJIL, warranting suspension/disconnection. The provisions of Service/s (or any of them) to the Customer adversely affects the Network or equipment of RJIL or the provision of Service/s to the Customer are revoked, discontinued or suspended. Usage of Equipment by the Customer for which IMEI codes are not traceable or valid on RJIL Network. Any re connection of service/s shall be done at the sole discretion of RJIL and fulfillment of other conditions as specified by RJIL. The Customers shall remain liable for the charges during the period of suspension of services. Prime membership extended till 15 April, also new Summer offer, 3 months of free services on minimum 303 recharge. 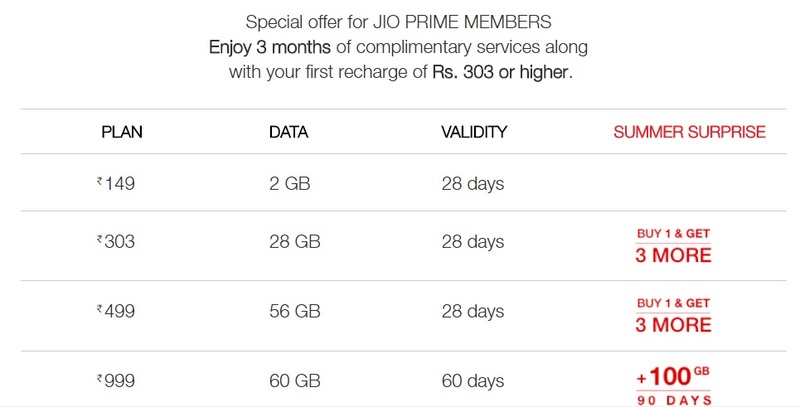 So Finally - Here comes the "Jio Prime" (₹99/-) blessing in disguise (Summer Surprise). I had already hinted in my earlier post here that Mr. Ambani will not stop just here. Last month, I announced a special membership program – JIO PRIME - for all Jio customers who signed up before 31st March. Isn’t it time for us, together, to strengthen the Jio Movement for creating a New India? It seems, Jio Happy New Yr. Offer to continue for Jio Prime 149 members till April 15, 2017 for sure! Till 15th it'll continue for everyone. Well, to be frank, I am NOT really happy with the Summer SURPRISE and am sure I will be in the minority now. I was planning to port out my secondary number + all of my corporate connections to Jio, except my main number. But we have to wait for minimum 4 months for the speed to come back to normal. I was very happy about Jio's digital revolution in India, where thugs like Airtel are trying their level best to milk their customers (even now if given chance) by forming a CARTEL to sell data as luxury plus killing the net neutrality and what not. I was eagerly waiting for the paid services by Jio. I was expecting new exclusive Postpaid plans, new JioLink plans and even the introduction of VoLTE feature phones. But what happened on 31st March night was tragedy, imho. Well, I can understand the need of the 15 day extension for Prime enrollment, due to last day server fails, crowds in RD stores, etc. Well, it is bad to know that even many Indians do something as simple as 99Rs recharge, on the LAST day of deadline. But for Rs303 recharge and get 4 more months (3 free + one more for that 303) of FREE usage like NHY offer? It is as good as unlimted data + calls + SMS for Rs100 per month. So we have to bear with the 4 more months of pathetic speeds + bad voice calls. Jio is becoming a heaven for freeloaders and NOT for real customers ready to pay for good services. Now let us look from ANOTHER ANGLE:- Asking Rs256 to Rs296 for 1GB of data is outrageous + UnLimited Greed for sure, but all for FREE at just Rs100 per month is nothing short of predatory right?? All I want is Jio forcing the AVoId Thugs to wake up from slumber, connect their towers with Fiber instead of relying on useless microwave backhaul for reliable connections, treat customers the way they deserve, etc. But what Jio doing now is "KILLING / BLEEDING THE COMPETITION", which is NOT at all good in long term for customers, imho. So our earlier assumption about the earlier HNY is an excuse for correcting / testing their network is NOT true at last. Jio is like a very big Giant THUG beating the hell out of the old-bad-tiny THUGs of AVoId group. Well, how can we sure the Giant will NOT beat us next? Decades ago, RIL has done the same in PVC business. Who knows, may be even "MONSOON OFFER" is on the pipeline, after the end of so called "SUMMER OFFER", if Jio finds Competition has still some breath left out. I am not sure, how many people will agree with my views. I have started having doubt on Jio's real intentions now. Agree with u was hoping for good paid data service. Good to see, I am not alone. Further due to the Rs339 (2GB 3G data + UnLimited onnet + 25 offnet minutes per day for 28 days) of BSNL and Rs349 (1GB per day + Unlimited LIKE calls) offer by AVoId group, even BSNL and AVoId network is pathetic nowadays. Good competition gives good network to all, but killing competition ultimately kill choices for customers. The main problem is that Jio is still not in a position to handle such big traffic and has planned to add 100000 new towers. Mark his words in the letter "Jio has created the world’s largest greenfield 4G LTE wireless broadband network, with over 100,000 mobile towers. And we will add another 100,000 towers to our network in the coming months. This greenfield investment – of over Rs 200,000 crores – is the largest anywhere in the world. We are acutely aware that we have small pockets of congestion on our network. With our investment in network expansion, you will see a dramatic improvement in service quality in the coming weeks." 2. Hold back subscribers by way of FREE offer. (no one will leave the network even after facing congestion issues. 3. Bring the competitors to their knees. 4. 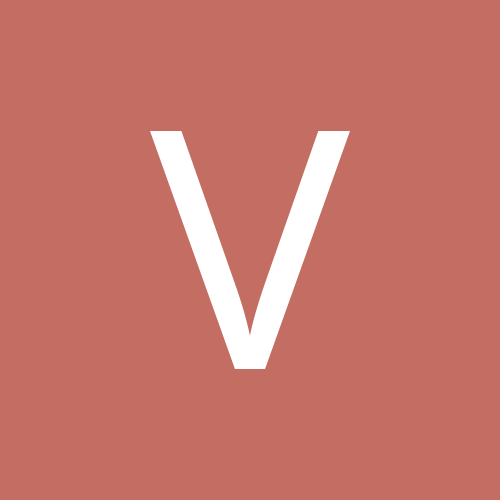 Pull more users from other operators. 5. The way Jio is imposing ₹99/-, he may dictate terms in future after gaining monopoly in the Market. 6. While other operators are struggling for survival Jio is squeezing money from its users and investing in infrastructure upgrades. 7. We all obsessed by Jio have done not only ₹99/-, but also multiple recharges of ₹303/- or above to avail JioMoney ₹50/- Cashback. No matter how much we criticize Jio, we cannot deny the wholesome package which includes bundled apps & subscriptions provided by Jio is the best in the market at present. We thought that Jio has come to teach lesson to AVOID but now it's too much though Jio have its own reasons. Even after more than 1.5 years of testing if the network is not ready then it shows the infra and the preparedness of jio in a negative light. In the quest of pulling more users from other operators Jio must ensure they dont loose out on existing customers or prospective heavy users. Atleast 70-80% users are ready to pay and use Jio services if it improves there is no point in going free free free and loosing prospective customers. When Mr.Ambani announced that jio sim is available to all he said he has put in so much money into infra that he can launch 5g 6g as and when available present state even g is not working properly. Mukesh Ambani is a more dangerous business man than a Sunil Mittal if he reduces competition or gets into monopoly it would mean disaster to customers. Heard that night unlimited is working between 2AM to 5AM. I tried and it is true, can download as much as we like. My jio app always showing 1024MB remaining. @KanagaDeepan You will enjoy Xtra 100Gb so need not worry & Mukesh Ambani has also assured further noticeable increase in performance within few weeks. @LTE4G you are right. But my doubt is whether that 100GB will be usable in future? With many people going for 499Rs recharge now (to get 2GB/day benefit) and 3 months of DOUBLE LOAD THAN NOW, I am NOT really confident now. Let us wait and watch. They have said first surprise of many more, they are still trying to improve their network, I really want that free scheme should be close now so that people who want to use paid services can get actual speed. I am getting very good speed - the speed also depends on which site or server you are connected to, for example. If you are connected to specific site such as Yahoo, hdfc bank or Facebook and their servers are slow due to saturation at that particular movement then no matter how fast is Jio - you will not get speed. You can try downloading same file from different sites or mirrors and see the difference in speed. Anyway all free riders/bandwidth killers who just constantly watch YouTube, movies etc. will filter out after 15th April as they are not going to pay ₹99/- + ₹303/- for sure. They were just using Jio since it was totally Free. Further those who merely use prepaid connection for only few calls (50 - 80 calls per month) will also get dropped because they will not spend ₹99/- + ₹149/- or ₹303/- under any circumstance because they were the one who used to charge ₹200/- max in 6 months but were enjoying Jio's free ride till now. So as Jio network will get rid of these time pass users the network performance will improve by itself. Sincere users are not interested in free services but they look forward for a decent service at reasonable prices. As far as Internet bandwidth or traffic is concerned, Jio's traffic was already 25 times than the total traffic of other Indian operators in February when it had only 52 million people on board. Can anybody please tell me what will happen to someone who has opted for prime membership (99) + has done mulitple 149 recharges before 31st March. Will they be getting summer surprise offer by doing a recharge of Rs.303 or they are no longer eligible ?